Macau, another special region of China, once a colony of Portugal, is located just an hour away by boat from Hong Kong. We made a day trip the last time we visited in 2013, but this time round we've booked an overnight in the Galaxy Macau Hotel, which opened last year. The boat trip over is very efficient, you do need your passport as you are leaving the Hong Kong region. Boats leave every 15 minutes and you can get a 3 month entry visa upon arriving in Macau. We paid for one way tickets to avoid committing ourselves to a return time. If you are staying in one of the many major hotels, you'll probably get free transfer from the boat port. The last time we visited we spent most of our day in the old town enjoying the portuguese influence over and ruins of the city. This time we were to spend our time out in the man made island which is home to the only area in China were casinos are legal. The area now brings in more money than Las Vegas, and in many respects is like it too with hotels of similar names. 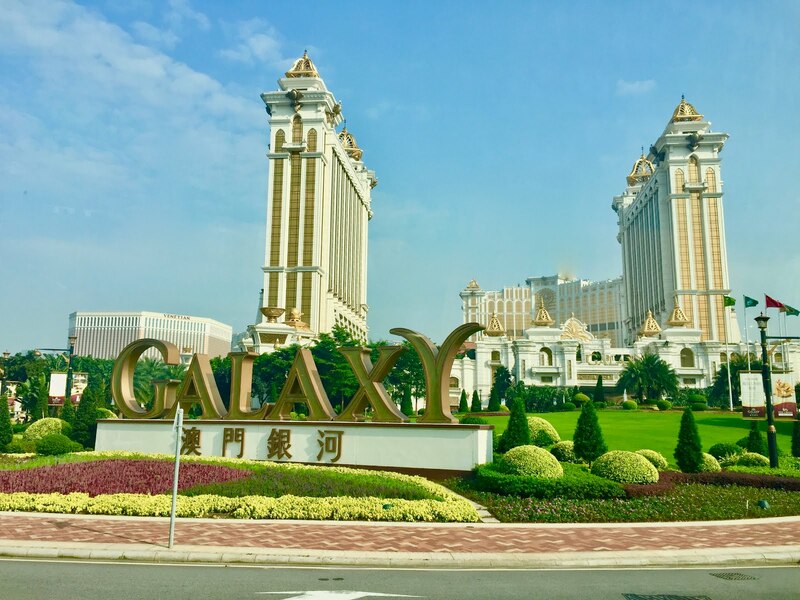 We are staying in the Galaxy Macau, which is a massive complex of three hotels. Ours had the most impressive of lobbies we've ever seen in our lives - the diamond lobby, with a massive fountain with a show every 30 minutes featuring an enormous fortune diamond which appears from a fountain to very dramatic music! Our hotel room was MASSIVE - we got an upgrade too. This is a five star hotel and we were expecting a lot - and it lived up to it. The most amazing thing was the price. It cost less than a hotel in London. We recorded a video tour of our hotel room below. After settling in we quickly went down to the pool deck, which was more than a deck. It had countless swimming pools including a wave one. Another area had water slides and a full only lazy river which runs for over half a kilometer. There was even a white sand beach. All of this is on the roof of the casino! Incredible. We didn't take our phones down so we don't have any pics. But we did get to wear our fancy Galaxy robes! 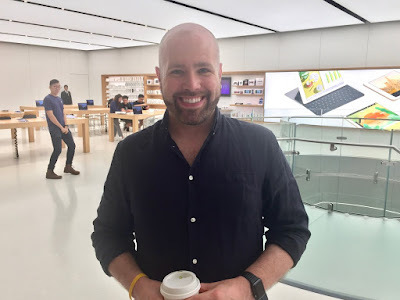 After a quick freshen up we headed down to the lobby shops, which is actually a full on shopping mall with over 200 stores including the cities first and only Apple Store, which only opened three weeks back. With so much choice you could easily spend the entire day in the hotel without ever leave and not get bored (at least we could!). After some shopping, we decided to leave our hotel and take a cab over to the new Parisian hotel, which only opened last week. It's based on a French theme, complete with a replica Eiffel Tower outside! The lobby inside was stunning, but certainly not as dramatic as the one inside our hotel. Like our own hotel, this one came complete with a shopping mall, but unlike ours, the mall was connected to the malls of the adjacent hotels, making for one mega mall. So we mall hopped between the Parisian, the Four Seasons, the Venetian and finally the Sands. Crazy. The last time we were here we spend a lot of time in the Venetian mall, which contains a canal with gondolas! At this stage it was approaching midnight and we hadn't had dinner. So we made our way to the Hard Rock Hotel for food at the Hard Rock Cafe. Exhausted we took a cab back to our hotel to retire for the evening. However before that we took a 2am walk through the casino in our hotel, the first time this trip to visit one. It was packed. Not really our thing, so we enjoyed a free beverage and made our excuses to head to our room to enjoy a nightcap from the free mini bar which was included!